They say that behind every great man is a woman. Does this hold true in the case of Albert Einstein and Mileva Maric? Einstein went on to become one of the most revered and venerated scientists in the world. But did he discover his theories on his own? Or did he have help- from Mileva? In order to answer these questions, it is best to go back from the beginning. Mileva Maric was born in Habsburg,Serbia on 24 December, 1895 from a well-to-do family. As a youngster, she showed a gift for math,languages, painting and music. At an early age,she had shown intelligence by always being on top of her male-dominated classes. 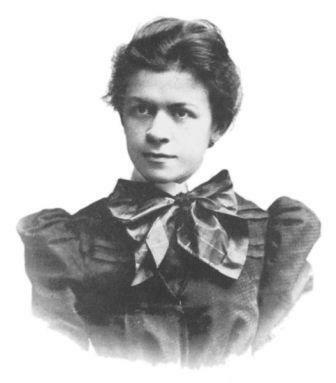 Mileva went to study medicine in Zurich,one of the few countries that admitted women to the universities. By October, 1896, she was enrolled in Zurich Polytechic (later to be renamed Swiss Federal Institute of Technology or ETH). Here she met a 17 year old youth by the name of Albert Einstein. He was her classmate and she was 21 then. Maric had good scholastic records for the fist 2 years in the University. Einstein and Mileva were to fall in love in 1899.She was protective of him and placed him on top of her priorities.By 1902, Mileva was an academic failure with an illegitimate child while Albert graduated and was employed in the Bern Patent Office.His career would soon be on the rise while she was delegated to do housework and care for their children. In 1903, Einstein and Mileva married. Soon their first born child would die and they would have 2 more sons, Hans Albert and Eduard.Some evidence show Einstein's treatment of Mileva and their sons was less than exemplary. Life with the wonder scientist was not all that it appeared to be. Mileva suffered one heartache after another- from Albert's infidelities to the sickness of Eduard & her sister,& the deaths of her mother, sister and first grandchild. She died at the age of 71.Her newspaper obituary didn't even mention Albert Einstein. In 1958, Hans Albert's wife Frieda authored a book about his famous father-in-law, Albert, but the co-trustees of his personal papers blocked its publication when Albert died in 1955 because it quoted from letters written by Milva, Albert and their sons.Sometime in the mid 80s several hundred original correspondents between Albert and Mileva were discovered and there, several theories sprang about Mileva being involved in many of Albert's researches and discoveries- not just as a supportive wife but an intellectual collaborator . Based on some of the letters, some would even dare interpret that it was actually Mileva who did the works on her own . But since there are no other hard evidence (except for the letters which are considered circumstantial at best) to prove that Mileva did more than morally support her husband and proofread his writings, then the theories of the depth of Mileva's involvement in Albert Einstein's work would remain only as speculative in nature. Yet there remains a nagging and intriguing question.Did Einstein do it alone? The truth is buried with Albert and Mileva. But, at least, Mileva now deserves a closer look as the woman who was NOT just Albert Einstein's wife.